Rumor: Froyo for Droid X Coming Soon? Another day has dawned and still no official word of the Android 2.2 "Froyo" update for the Motorola Droid X. 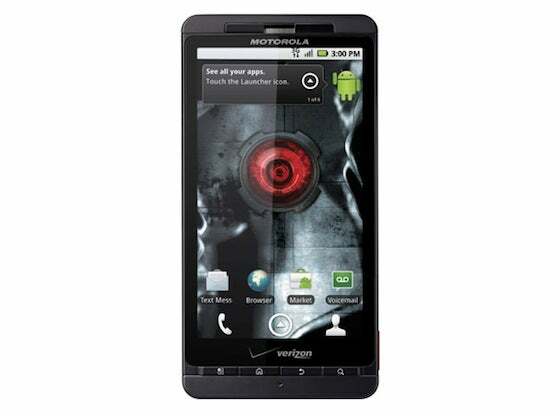 While the Droid X is a more than capable Android smartphone running Android 2.1, the Froyo update adds features and functions that users wants and will put the Droid X on an even playing field with other cutting edge Android devices. Verizon initially promised to push the update over the air in early September, but now that it is September 20 and no update has been deployed users are left wondering what the new ETA is. Neither Verizon nor Motorola seem willing to commit publicly, but rumors persist that the Froyo update will arrive for Droid X this week. The original Droid has received the Froyo update, and the Droid 2 shipped with Froyo pre-installed, but the Droid X is still part of the majority of Android smartphones ignored by the latest and greatest version of Android. The lack of Froyo may also be impacting sales of the Droid X, and highlights Android platform fragmentation issues faced by IT admins. Aside from just wanting to be a part of the in-crowd, Droid X users have good reason to want to join the Froyo party. Froyo comes with significant performance improvements and full support for Adobe Flash and Adobe Air. Android 2.2 also has both data tethering and mobile hotspot capabilities--both features that already exist on some Android devices that have been rooted, and may or may not actually be available without rooting depending on the wireless carrier. There have been some reports that the Froyo update has caused glitch issues and poor battery life on the HTC Droid Incredible. It is possible that Verizon and Motorola are holding off on deploying the Froyo update for the Droid X until further investigation can be done to determine if there is a real issue and address it first. The Droid X Froyo update ROM has been leaked, and can be found with a quick Google search. However, it is an unofficial update that requires rooting the device to install, and will require reverting back to the official Android 2.1 before being able to apply the official Froyo update once it is available. Unless you are a serious Android techie, I urge patience and recommend that you wait for the update from Verizon.